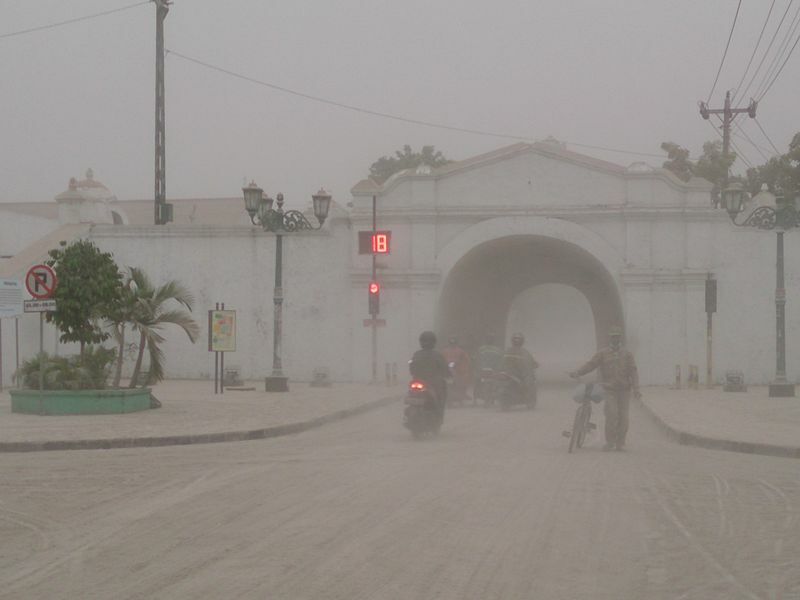 It was raining ash on the eastern part of Java, an island of Indonesia. Mount Kelud, a volcano, erupted on February 13. Over 100,000 people had to leave their homes for safety reasons since smoke and debris were flying into the sky. Roofs of some homes collapsed because they could not handle the weight of the ash and rocks that had fallen on them. The last time this volcano had a big eruption was 24 years ago. Earlier this month, Mount Sinabung, another volcano in Indonesia on the island of Sumatra, had erupted. Indonesia is the fourth most populous country in the world and is made up of over 17,000 islands. Mount Vesuvius in Italy erupted on August 24, AD 79. The eruption took the people living in the city of Pompeii by surprise, and they didn’t have time to escape. Pompeii was buried under layers of ash and was forgotten about. It was rediscovered over 1,500 years later. You can take a stroll through Pompeii on Google Maps. Here is a video about Pompeii.